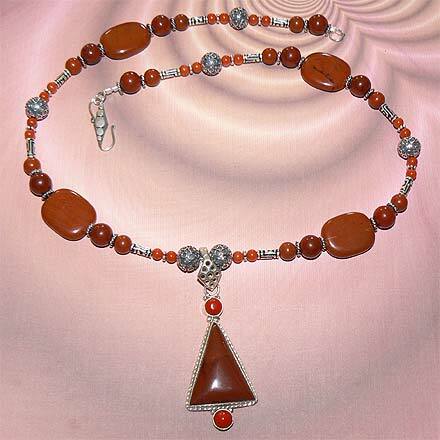 Sterling Silver Red Jasper and Coral Necklace. See Closeup. A pepper pot of hot Red Jasper and little Coral beads. 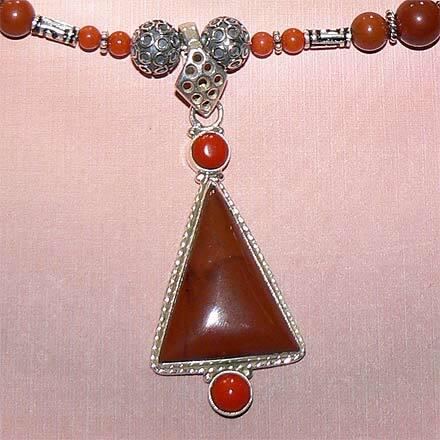 For those who are interested in Astrological significances of stones, Jasper corresponds with Virgo and Leo, and Coral is associated with Taurus.